5 tricks to making a smoothie without heaps of added sugar. 5 tricks to making a sweet smoothie without heaps of added sugar. Because we’re sneaky like that. If your family spent the holiday season like mine, there was lot of sugar involved. Now that we’re in full pull-back mode, I’m clearing a spot on my counter for the blender so that we can smoothie for breakfast or snack time most days. But here’s the thing: While smoothies are a tasty way to pack in a hefty dose of fruits, veggies, and other healthy ingredients, they can also be packed with sugar if you’re not careful about what you add. No matter what, your smoothie will be fairly high in natural sugar that comes from whole fruit. It’s the other ingredients — juice, sweetened nut and seed butters, sweetened plant-based milks, flavored yogurts (which tend to have loads of refined sugars), honey, and other sweeteners — commonly called for in many smoothie recipes that can tip your smoothie from healthy snack to borderline milkshake. To avoid that, here are five tricks to making a sweet smoothie that tastes great without tons of added sugar. Related: The Blender Girl Smoothies app: More healthy than Candy Crush in a few ways. 1. Swap in coconut water for juice. Coconut water contains natural sugar, but not nearly as much as other fruit juices. 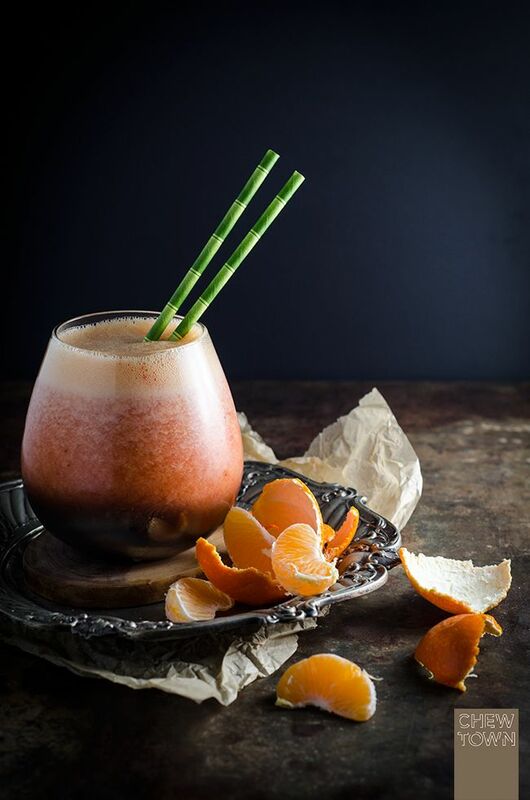 It also has fewer calories than juice and adds electrolytes, which makes smoothies like this Tangerine and Strawberry Smoothie at Chew Town a healthy way to hydrate. Just be sure to use an unflavored and not-from-concentrate coconut water. 2. Use juicy whole fruits to cut down on sugary juice. Blending juicy, whole fruits into your smoothie adds naturally sweetened liquid that your smoothie needs to blend well without relying solely on sugary juice. Plus, you get the benefit of ingesting whole fruit in all of its fibrous and micronutrient glory. I especially like using oranges, watermelon, or pineapple, and even canned pineapple works well, as long as it’s unsweetened. 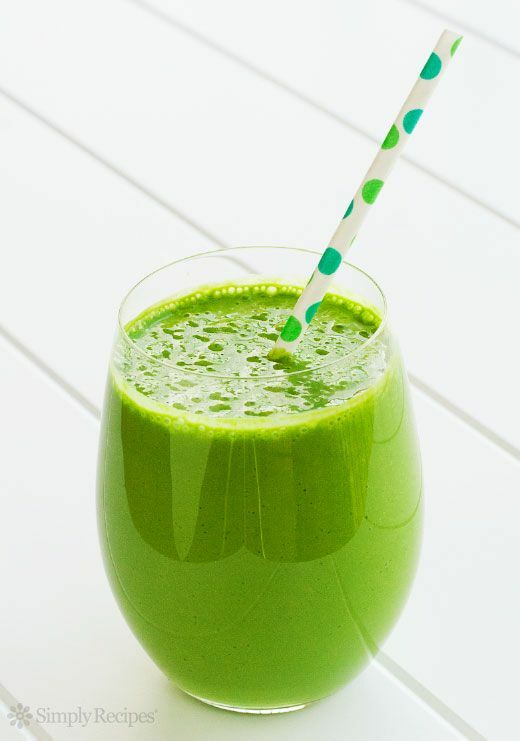 In fact, canned pineapple would be great in this Green Smoothie at Simply Recipes, and how convenient that you can always have it around, even in winter. 3. Add a super ripe banana to your smoothie. Bananas are another whole fruit that add natural sweetness to smoothies, as well as a great, creamy texture. The key to using bananas in place of (not in addition to) added sweeteners is to make sure that it’s super ripe. Remember: When making smoothies, brown spots are your friend. It’s hard to keep very ripe bananas on hand because they go bad quickly (and then the icky fruit flies), so whenever my bananas are about to turn, I peel, chop, and freeze them either alone or as part of these make-ahead smoothie packs. Doing this also helps cut down on food waste and can make things go faster in the kitchen — two major bonuses. 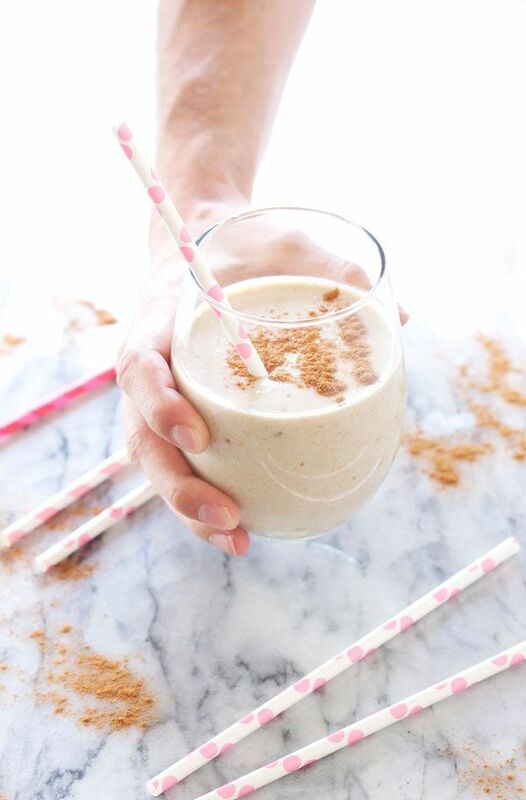 This recipe for a Snickerdoodle Smoothie at Recipe Runner uses a banana and just one date (a preview of my next suggestion!) to make a smoothie so sweet that it can be named after a cookie. Related: Make-Ahead Smoothie Packs to up your smoothie game (without any extra work). 4. Blend in dried dates, figs, or prunes. Dried fruit has a lot of sugar relative to fresh, but you need less of it to get a sweet hit since the sugars are concentrated. In other words, a little dried fruit goes a long way. Just one or two dried dates or figs will sweeten a smoothie plenty and you’ll end up with way fewer grams of sugar overall compared to a smoothie sweetened with juice or flavored yogurt. You’ll also get a good dose of fiber and some added vitamins and minerals. Pro tip: If you have the time, soak hard dried dates, figs, or prunes in hot tap water for a few minutes to soften them before blending. This will help them break down easier and will add creaminess to your smoothie. 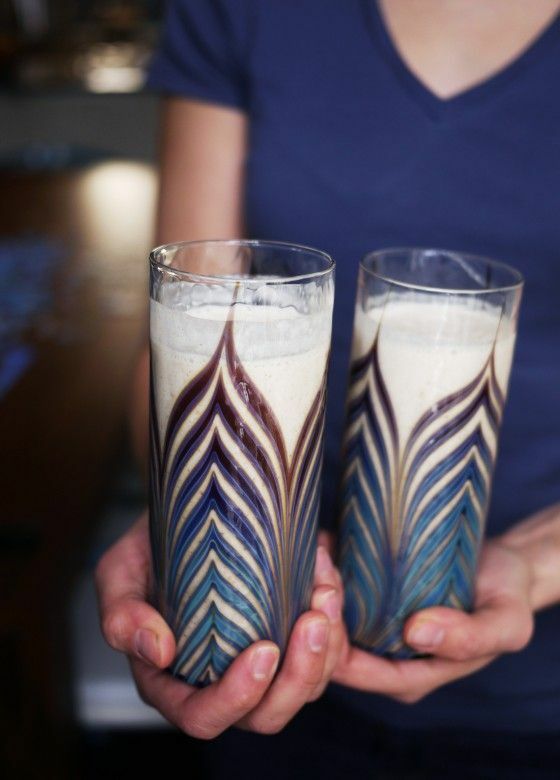 But don’t worry if you don’t have the time or patience: I often make this Coconut Date Smoothie, a favorite from my own site, One Hungry Mama, on the fly without the soak. Either way, it’s delicious. 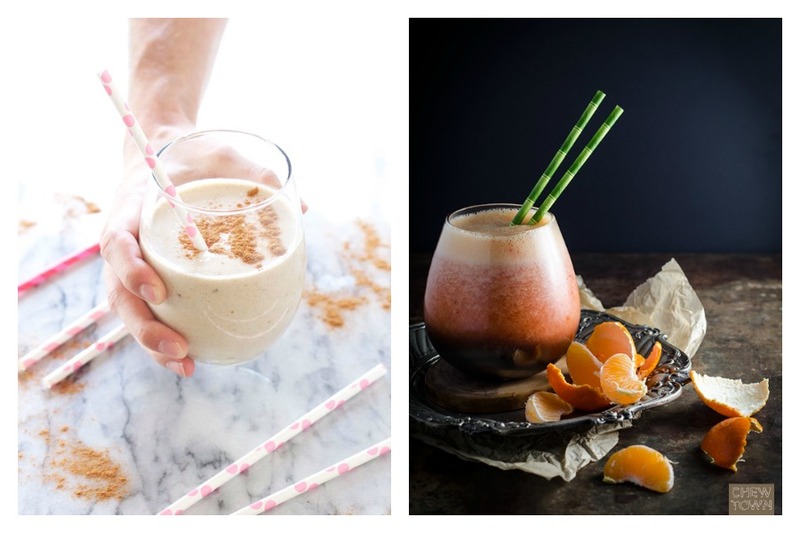 Related: Up your smoothie game with these 3 smoothie cookbooks that give healthy a tasty twist. 5. Throw in a dash of vanilla extract. Vanilla extract isn’t exactly a substitute for sweeteners, but it’s a smart tactic for tricking your palate — in a good way. Use one of the tips above to sweeten your smoothie or just reduce your favorite added sweetener, then add a dash of vanilla extract. There’s about 1.6 grams of sugar per tablespoon, but you don’t need nearly that much, and you’ll be amazed at what a difference it makes. 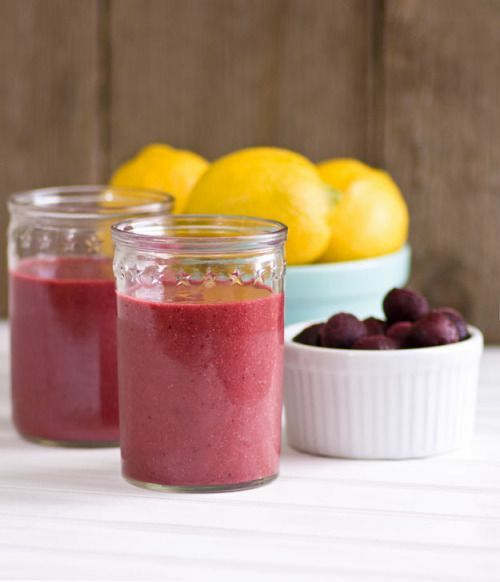 This Cherry Detox Smoothie that we found at Lexie’s Kitchen while searching for detoxifying smoothie recipes is proof!